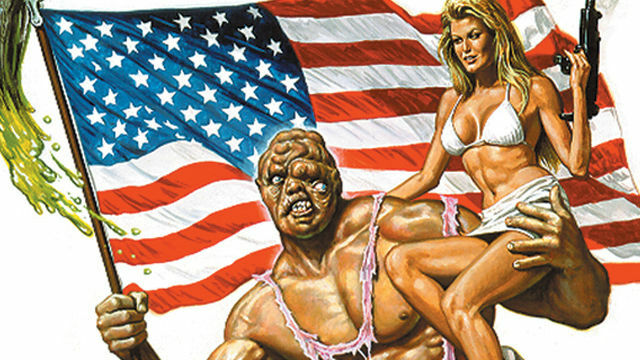 Legendary is moving forward with its Toxic Avenger reboot with Macon Blair at the helm. According to Variety, Blair is set to write and direct the remake of the 1984 cult classic. Blair is primarily known for his work as an actor, having appeared in films like Green Room, Logan Lucky and Thunder Road. He made his directorial debut with I Don’t Feel at Home in This World Anymore, which won the Grand Jury Prize at Sundance in January 2017. It premiered on Netflix the following month. As a writer, he penned 2018’s Hold the Dark and co-wrote the screenplay for 2017’s Small Crimes. Both of those films also debuted on Netflix. Legendary began developing a new Toxic Avenger film after acquiring the film rights last December. The original movie centered on Melvin Ford, a down-on-his-luck janitor at a New Jersey health club. During an altercation with a group of sadistic patrons, Melvin was submerged in a drum of toxic waste. The accident left him hideously deformed, but also endowed him with superhuman strength. The Toxic Avenger’s dark humor and gratuitous violence caused it to become a favorite of many B-movie lovers. It eventually spawned three sequels, The Toxic Avenger Part II, The Toxic Avenger Part III: The Last Temptation of Toxie, and Citizen Toxie: The Toxic Avenger IV. “Toxie” later headlined his own Marvel Comics series, children’s cartoon, and 2008 stage musical. Troma Entertainment’s Michael Herz and Lloyd Kaufman, who co-directed the first three films in the original series, will produce the reboot. Alex Garcia and Jay Ashenfelter will oversee the production for Legendary. The Toxic Avenger is still without a release date. Do you think Macon Blair is a good choice to write and direct the reboot? Who would you cast to play the title character? Let us know in the comment section below!